The Division of Hotels and Restaurants (H&R) licenses, inspects and regulates public lodging and food service establishments in Florida, which makes it a key observer of trends in the hospitality industry. True to form, a recent Division report present 15 years of licensure data in the industry, and there are some interesting insights. 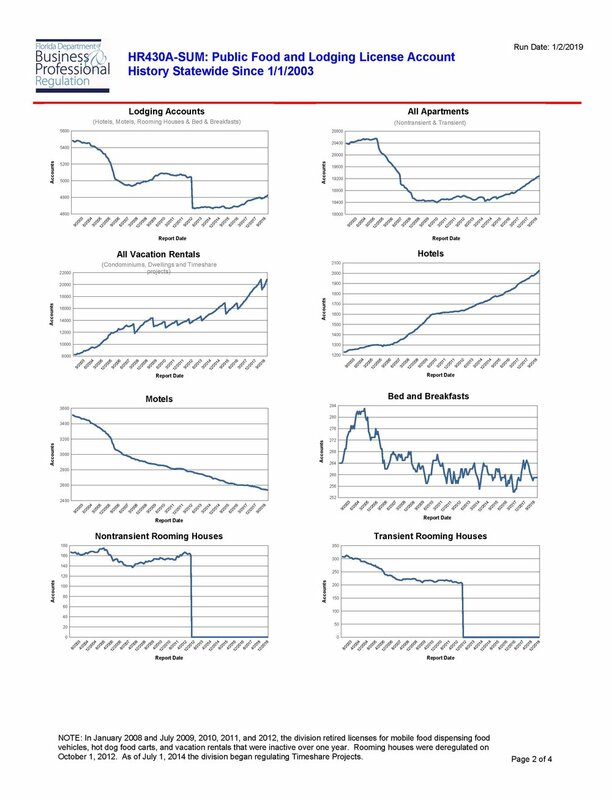 The a steady rise in the number of licenses issued to food service establishments is apparent from the start of the report. 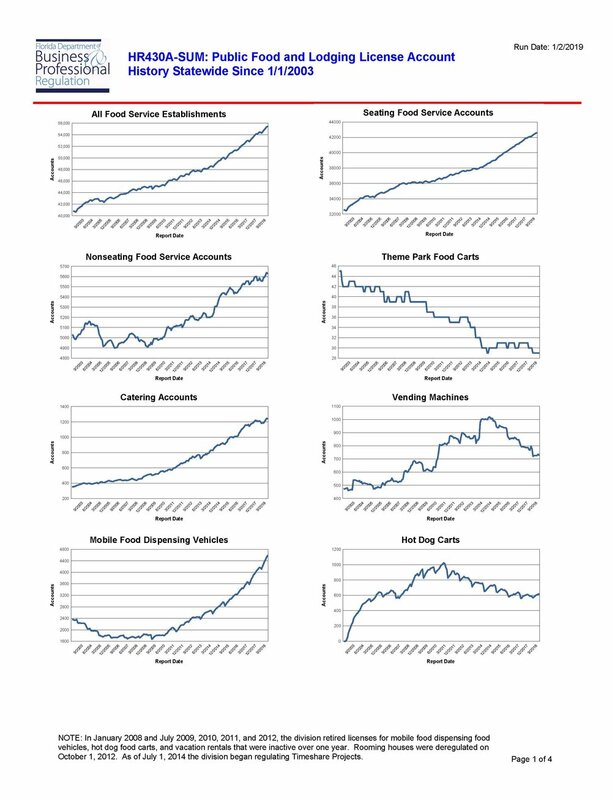 Also notable is that the number of licenses for Mobile Food Dispensing Vehicles (frequently issued to food trucks) has more than doubled in the last ten years, from just under 2000 in 2008 to almost 4800 in 2018. Food service establishments have also seen dramatic “up and to the right” growth over the same period.